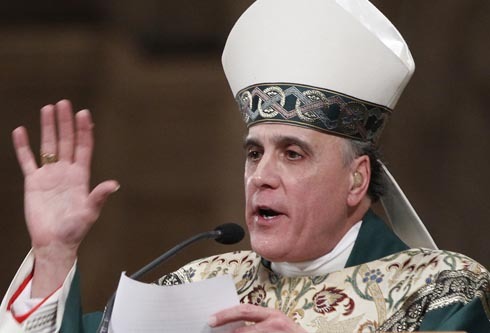 WASHINGTON—Cardinal Daniel N. DiNardo of Galveston-Houston, President of the U.S. Conference of Catholic Bishops (USCCB), joins other leaders from the U.S. Episcopal, Lutheran (ELCA), and Armenian Churches in urging Israel to not confiscate church lands or tax church properties. In the joint letter addressed to Israeli Prime Minister, Benjamin Netanyahu, and Jerusalem Mayor, Nir Barkat, the Church leaders express deep concern that the measure would “…jeopardize the very survival of the Christian community in the Holy Land.” A second letter has been sent by the US signatories to all the heads of churches in the Holy Land pledging to continue to press the Israeli government on their behalf. “As heads of churches and communions in the United States, we write to express our strong concern about recent legal proposals and tax plans that would severely inhibit the work of the churches in and around Jerusalem. If enacted, these measures would have the effect of creating a situation that jeopardizes the very survival of the Christian community in the Holy Land. We have expressed to the Patriarchs and Heads of Churches in Jerusalem, in the enclosed letter, our firm solidarity with them during this crisis, including by strong advocacy before our own government. We know of the myriad of activities in which the churches there are engaged, such as education, health care and pilgrimages, and we recognize that they are integral to the churches’ mission and of major benefit to the Jerusalem community beyond the churches.